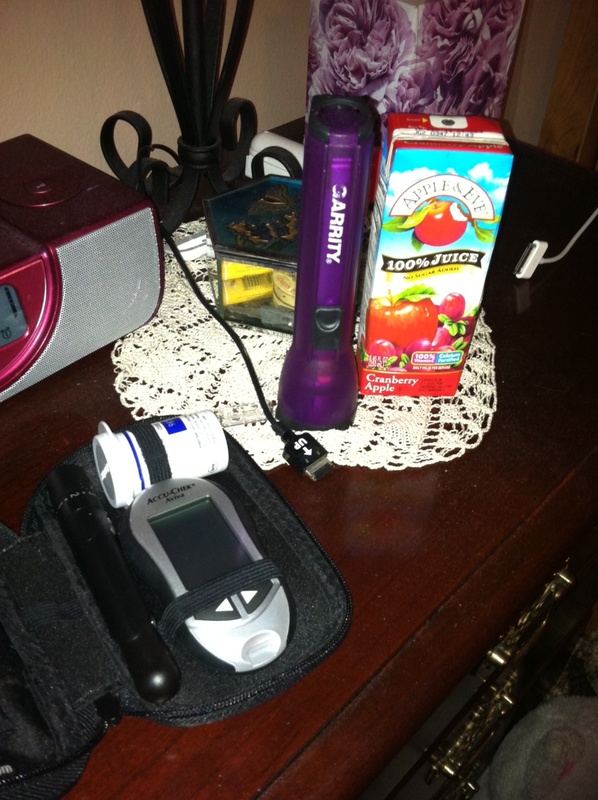 May 24, 2011 DexcomStacey D.
I was asked recently what a good day with diabetes is. 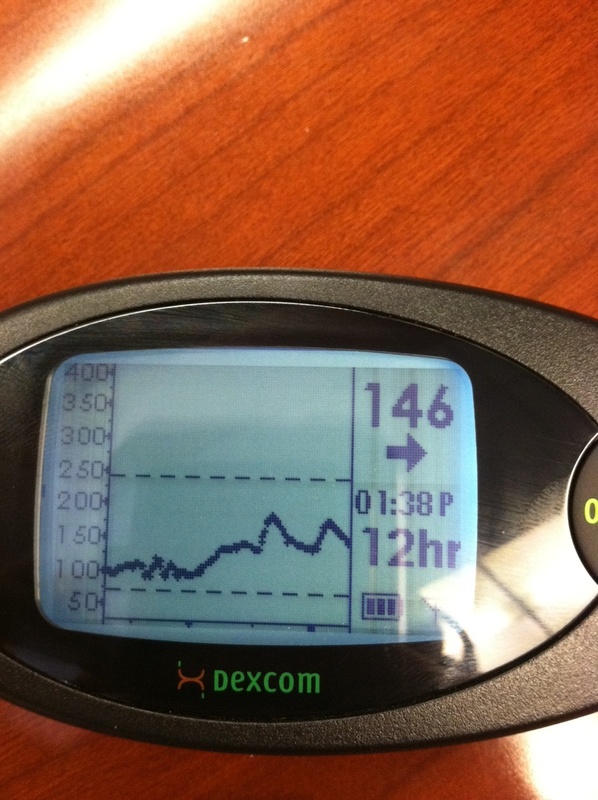 My response was pretty simple: when my blood glucose (BG) cooperates. 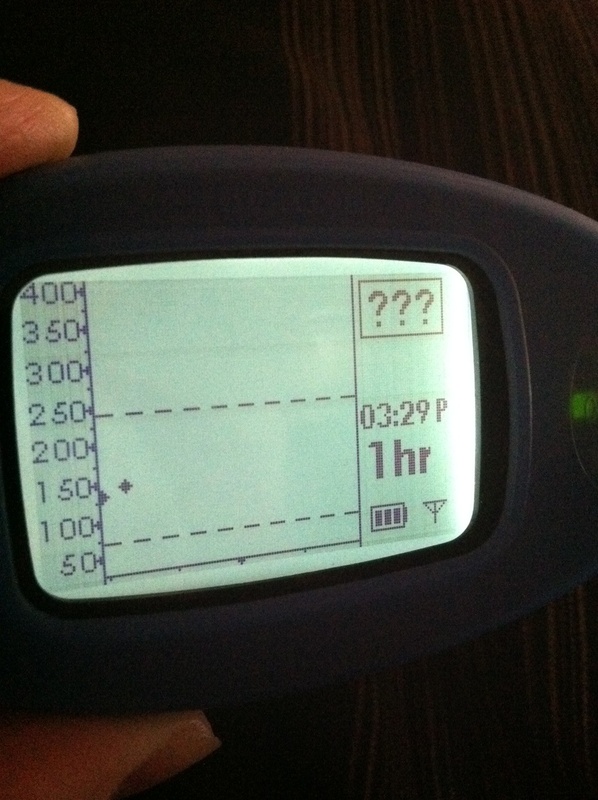 When I saw this CGM graph over the weekend, I thought of my answer to the question asked of me. Looking at it you may not think it’s the best in terms of good BG readings. However, these 12 hours included pretzel bites at the movies, cold stone ice cream AND pizza after. A bit higher than I’d like but pretty darn good considering if you ask me! And this was a day that I treated myself to these types of foods all in the same day plus I did my exercise earlier in the day to make sure I burned off some of those calories! So I tried somewhat to manage this as best I can. And it worked. For the most part. Living with diabetes would be so much “easier” if things worked out this way more often. But I certainly do appreciate when it does. Here’s to wishing all of a you good BG day! 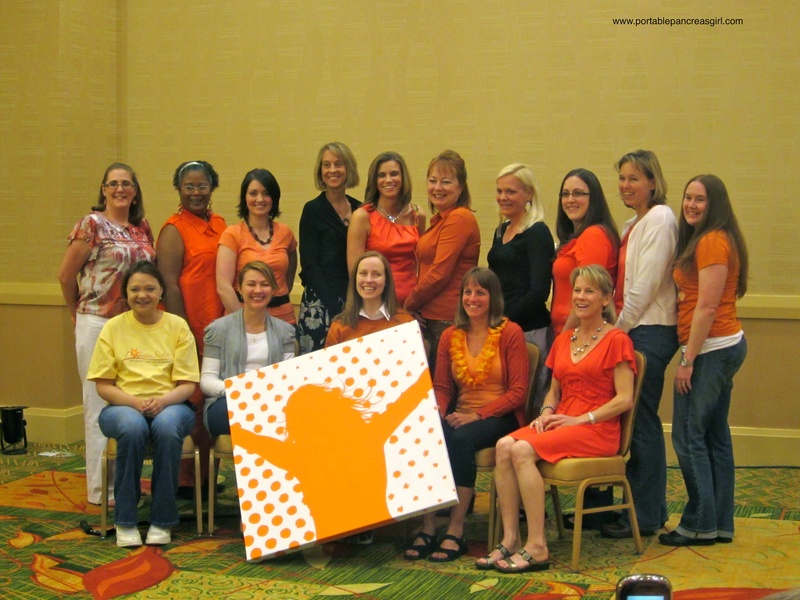 May 16, 2011 CommunityStacey D.
Topic number 7 = Last year, Wendy of Candy Hearts made a suggestion for this year. She commented “I think Day 7 should be a post about stuff we’ve learned from other blogs or the experience of coming together online…” Today, let’s do just that!! 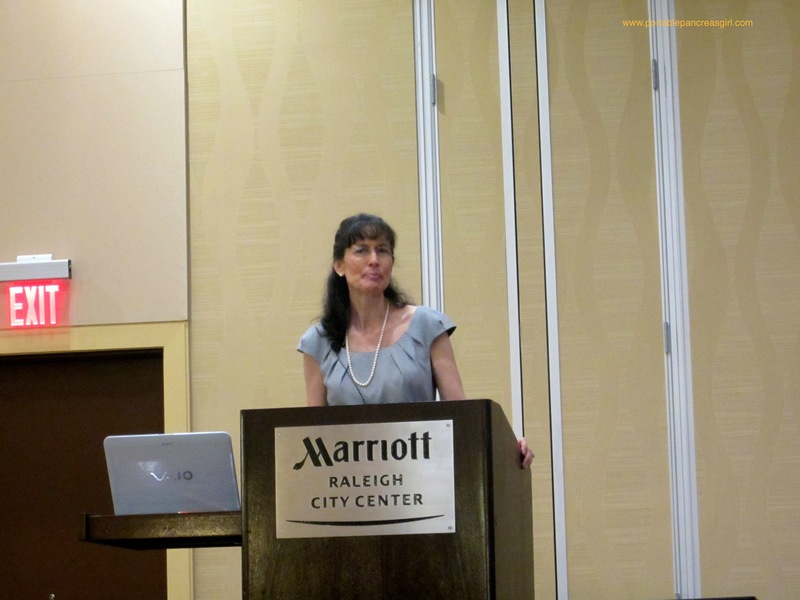 What have you learned from other blogs – either this week or since finding the D-OC? What has your experience of blogging the DBlog Week topics with other participants been like? What has finding the D-OC done for you? If you’d like, you can even look ahead and tell us what you think the future holds! Today (well yesterday rather) is the end of DBlogWeek. But it certainly is not the end of the diabetes community. It is so diffilcult for me to put in words what I have learned over the past couple of years from the DOC. But what I have certainly learned this past week, is that this community is bigger than ever. And that is awesome. Each and every one of our diabetes is different. Our lifestyles are different. Our blogging is different. Our feelings are different. Yet we all come together with the same goals. To educate. To advoate. To support. 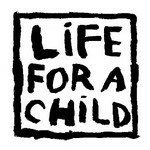 And I don’t know how I have managed all of those years in the past without it. So thank you Karen for providing the opportunity to reinforce to all of us (and others outside the community even) just what a memorable group of people we are. 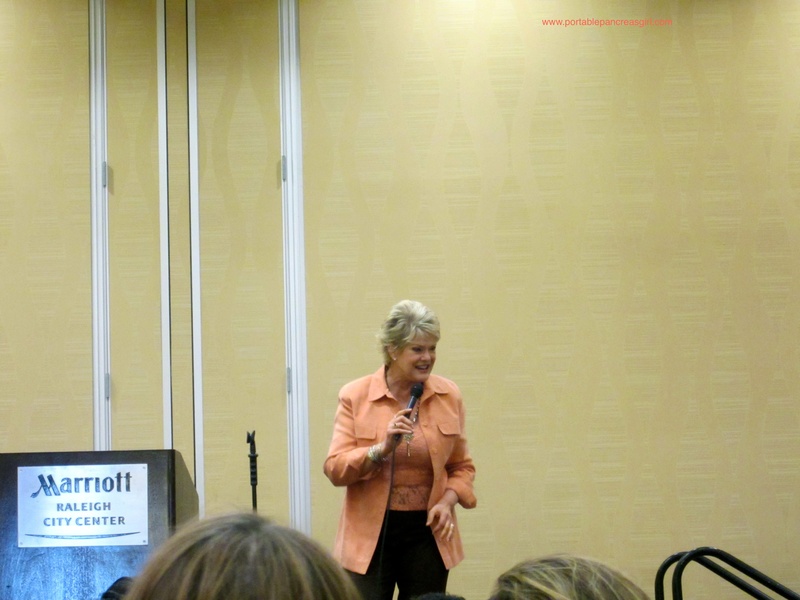 I also have to point you to this video created by Mike … Thank You to Karen. This is what this community is all about. 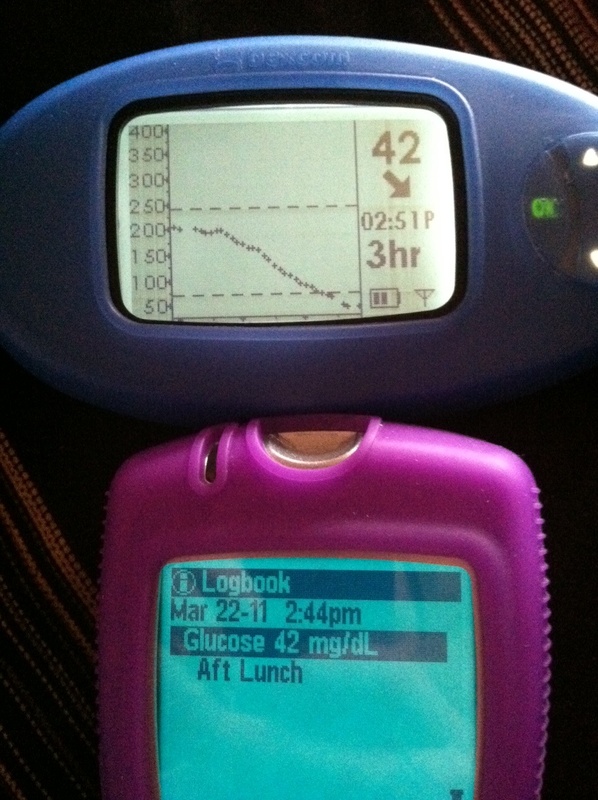 May 14, 2011 BG Meters, Community, DexcomStacey D.
Diabetes Blog Week is almost over! Day 6 = Today is the only day I’ve brought back a fun topic from last year. 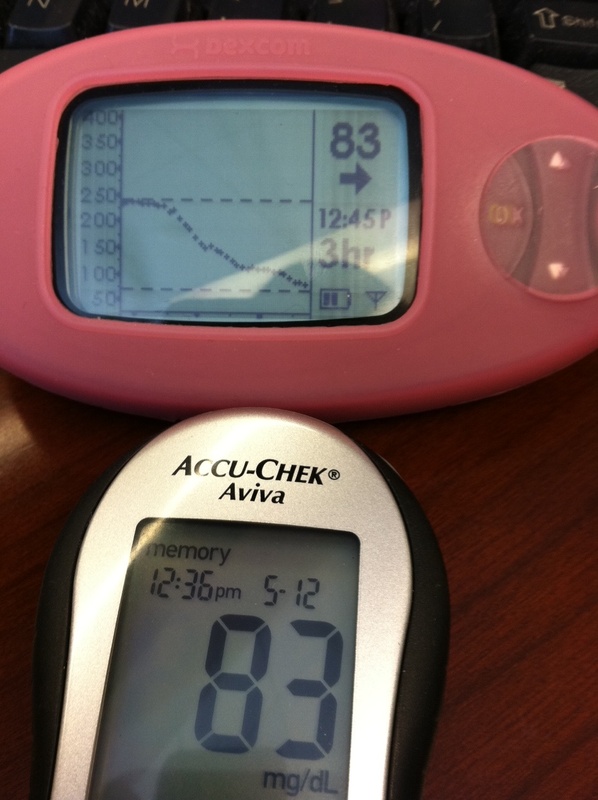 Inspired by the Diabetes 365 project, let’s snap a few more d-related pictures and share them again. Post as many or as few as you’d like. Be creative! Feel free to blog your thoughts on or explanations of your pictures. Or leave out the written words and let the pictures speak for themselves. I like taking pictures. Generally speaking. 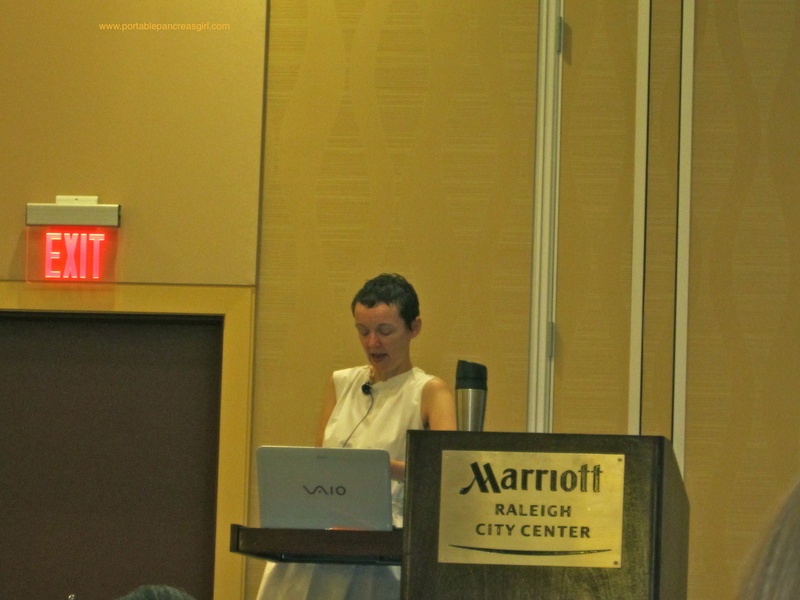 So when I had to share some snapshots of diabetes, I was all for it! 😉 Here are some more recent pictures that I’ve taken that depicts life with diabetes. And please don’t mind if they’re not of the best quality pictures … most (if not all) of these were taken with my iPhone. This is all of my diabetes supplies. Yes I have A LOT. 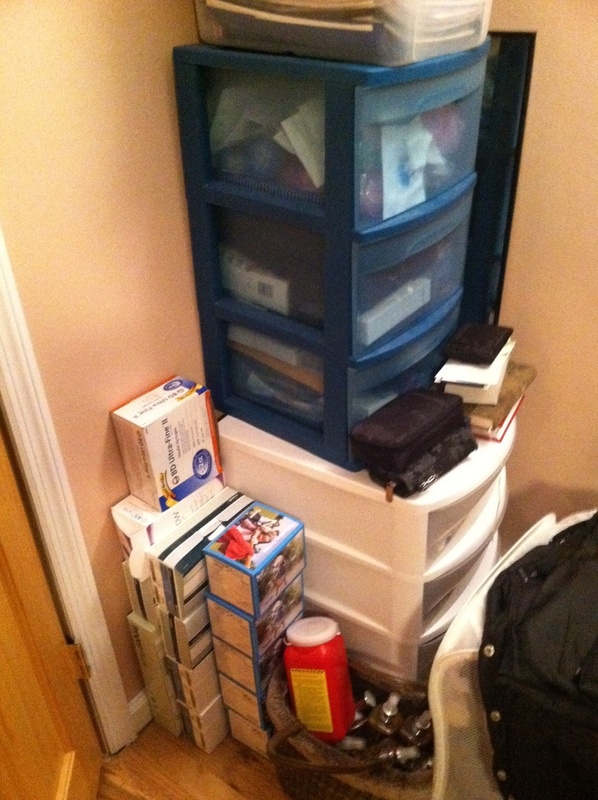 Luckily in our new(ish) place, they fit nicely in the corner of the bedroom, out of the way. This is what unclear looks like. And this is a matching moment. I love these. 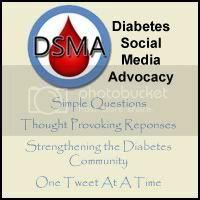 May 13, 2011 CommunityStacey D.
Day 5 of Diabetes Blog Week = In February the #dsma blog carnival challenged us to write about the most awesome thing we’d done DESPITE diabetes. Today let’s put a twist on that topic and focus on the good things diabetes has brought us. What awesome thing have you (or your child) done BECAUSE of diabetes? 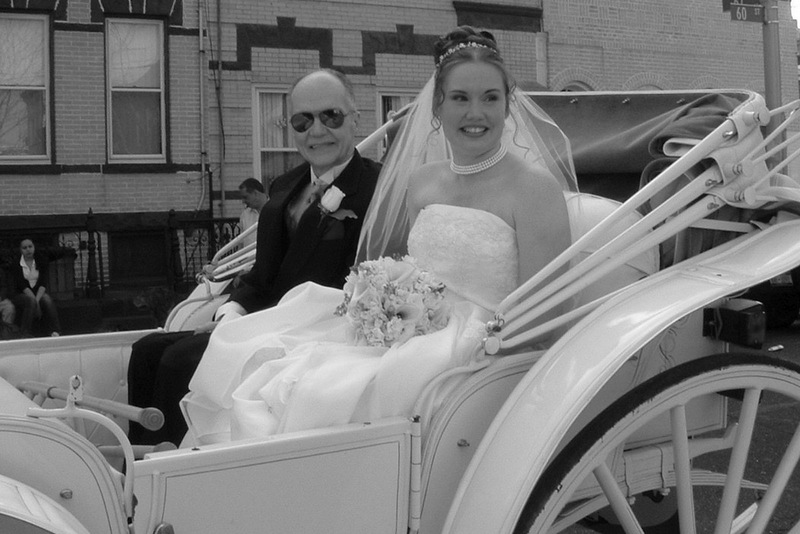 After all, like my blog header says, life with diabetes isn’t all bad! 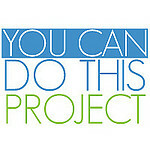 May 12, 2011 Community, EmotionsStacey D.
Day 4 of Diabetes Blog Week = Having a positive attitude is important . 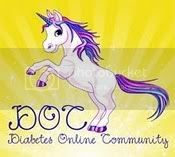 . . but let’s face it, diabetes isn’t all sunshine and roses (or glitter and unicorns, for that matter). So today let’s vent by listing ten things about diabetes that we hate. Make them funny, make them sarcastic, make them serious, make them anything you want them to be!! I think of myself as a positive person. I have my moments, especially when dealing with diabetes day in and day out, but generally I do not like negative attitudes. That being said, there are still lots of things to dislike or even hate about diabetes. I have a feeling we will see a lot of the same things being mentioned by numerous PWD but here is my list ………..
10. Managing it is a full time job. 9. Those lows that get me thinking the end is possibly near. 8. Every time I feel “off” wondering what diabetes related issue is causing it. 7. Not being able to eat *anything* (unless it has zero carbs) without checking BG first and determining how much insulin is needed for it. 6. The cost of diabetes supplies and endless doctor visits. 5. High BG that just won’t budge no matter how much you rage bolus. 3. The complications that may inflict me and already inflict some of my dearest friends. 2. As much as I need exercise, I cannot without preparation, BG checking, having carbs available, thinking about the next few hours of BG possibilities, etc. 1. It took my father from me and my family. 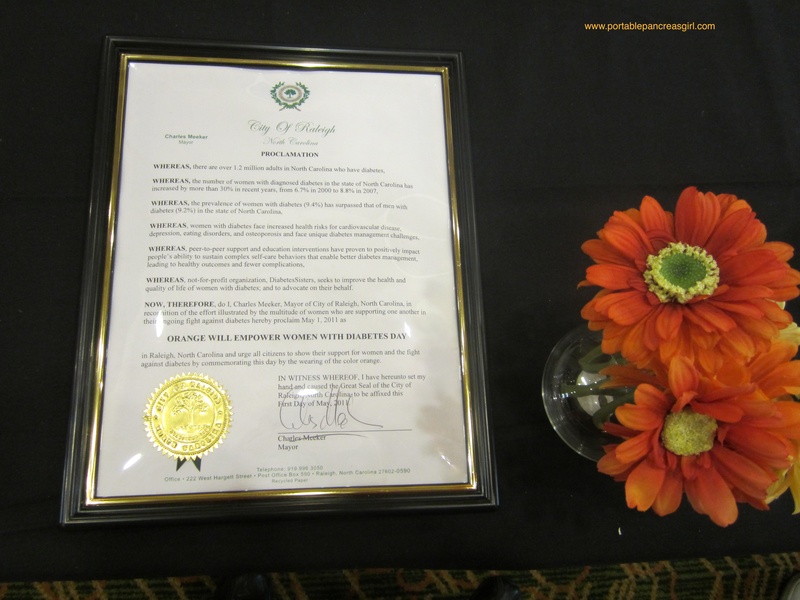 May 11, 2011 Community, DexcomStacey D.
Diabetes Blog Week is still going strong! Is it only day 3??! Day 3 = Whether you or your loved one are newly diagnosed or have been dealing with diabetes for a while, you probably realize that things can (and will) go wrong. But sometimes the things that go wrong aren’t stressful – instead sometimes they are downright funny! Go ahead and share your Diabetes Blooper – your “I can’t believe I did that” moment – your big “D-oh” – and let’s all have a good laugh together!! This particular topic got me thinking. A lot. And I was mainly coming up blank for something to write about! There are little things that happen diabetes related that you can chuckle about. Like poking your finger for a BG test and you get two spots of blood, one from an earlier test. Or going to test your BG on your iPhone instead of the actual glucose meter. But these aren’t really blog worthy. Or original. Then I googled the definition of blooper and came up with this: 1. An embarrassing error. That’s when a story came to mind. I already shared this story back when it happened so I apologize if you’ve heard it already. I take the railroad to work every day. I’m usually one of the first few people at the spot where I wait for the train meaning that I’m closer to the platform edge. 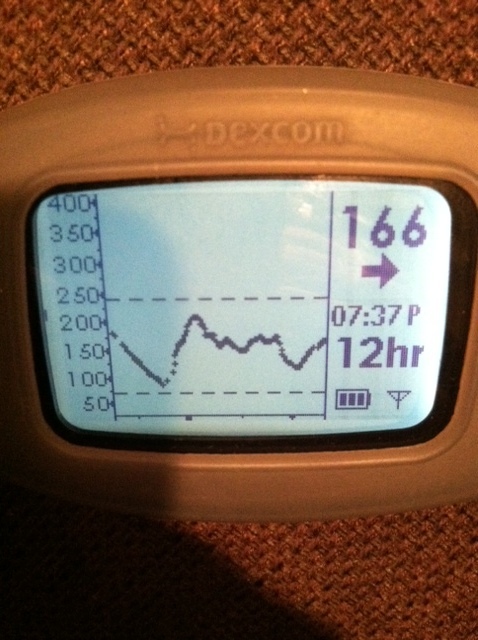 This particular morning, not quite 2 years ago, I reached for my Dexcom receiver from my bag to see what my BG was. And there it went. Onto the train tracks. I stared at it as if that was going to rewind time and bring it back. And then I started freaking out. I wasn’t exactly sure what to do so I called Joe at home (he leaves for work later than I do) to tell him I was still at the train station and why. Based on his suggestion, I went back to the ticket office to tell the employee I had dropped something very valuable on the tracks. The poor guy didn’t really seem to know what to do. He called his manager and was waiting for a call back. In the meantime, he thought maybe he could scoop it up with a broom and dust pan so went to get that from wherever it is they keep it. While I waited, a second phone call to Joe resulted in him informing me that he was at the train station and had retrieved my Dexcom receiver for me! Phew!!!! I was so relieved that I had it back and wasn’t going to have to get a new one. And so thankful that he did that for me. This was a bit embarrassing and probably could never happen again even if I tried. And let me tell you that I have never, ever reached for my Dexcom receiver on the train platform since that day! May 10, 2011 Community, EmotionsStacey D.
In February the Wego Blog Carnival asked participants to write letters to their condition. 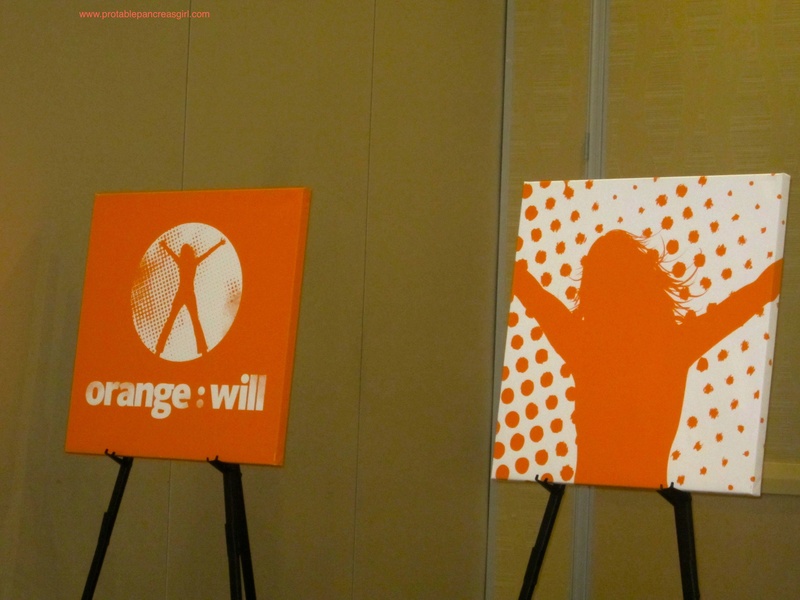 You can write a letter to diabetes if you’d like, but we can also take it one step further. How about writing a letter to a fictional (or not so fictional) endocrinologist telling the doctor what you love (or not) about them. How about a letter to a pretend (or again, not so pretend) meter or pump company telling them of the device of your dreams? Maybe you’d like to write a letter to your child with diabetes. Or a letter from your adult self to the d-child you were. Whomever you choose as a recipient, today is the day to tell them what you are feeling. My letter is to my late father who was taken from this life due to diabetes complications. I will admit that I wrote this last year but I amended it a bit since I thought it was fitting for today’s topic. It has been almost eight years. Too long since I’ve heard your voice. Too long since I’ve seen your face. Too long since I’ve held your hand or kissed your cheek. Each year that goes by seems like a dream. Did we really live another year without you? I think back to that last time I saw you. And I wish so much I never would’ve left your side. I wish so much that moment could have lasted forever. I wish so much it wasn’t the last time. You took a piece of my heart when you left us. Without that piece is emptiness. An emptiness that aches no matter how many years it has been. I still miss you with all my heart. And would do anything to have you back. This is one of my favorite pictures of him and I, just three months before he passed away. 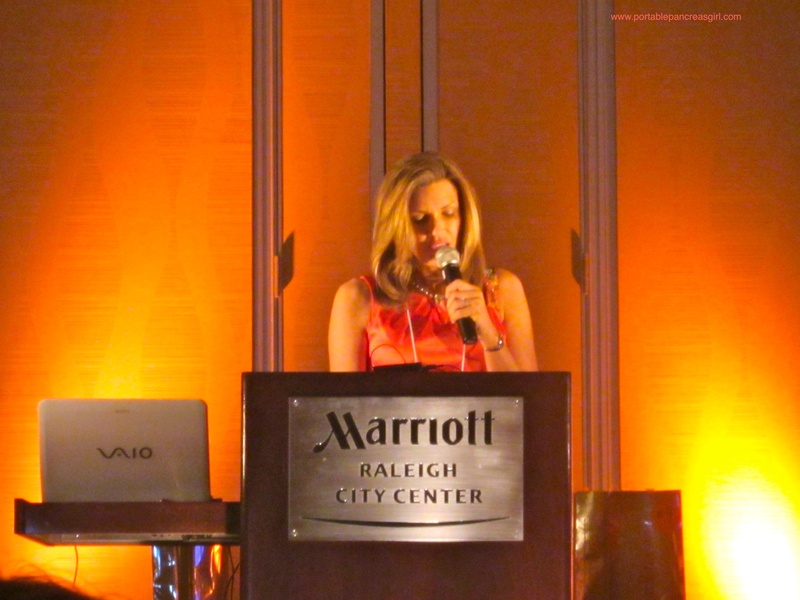 May 9, 2011 CommunityStacey D.
This is a tough one to start off D-Blog Week! Admiring our differences – Monday 5/9: We are all diabetes bloggers, but we come from many different perspectives. Last year, Diabetes Blog Week opened my eyes to all of the different kinds of blogs (and bloggers) out there – Type 1s, Type 2s, LADAs, parents of kids with diabetes, spouses of adults with diabetes and so on. Today let’s talk about how great it is to learn from the perspectives of those unlike us! Have you learned new things from your T2 friends? Are D-Parents your heroes? 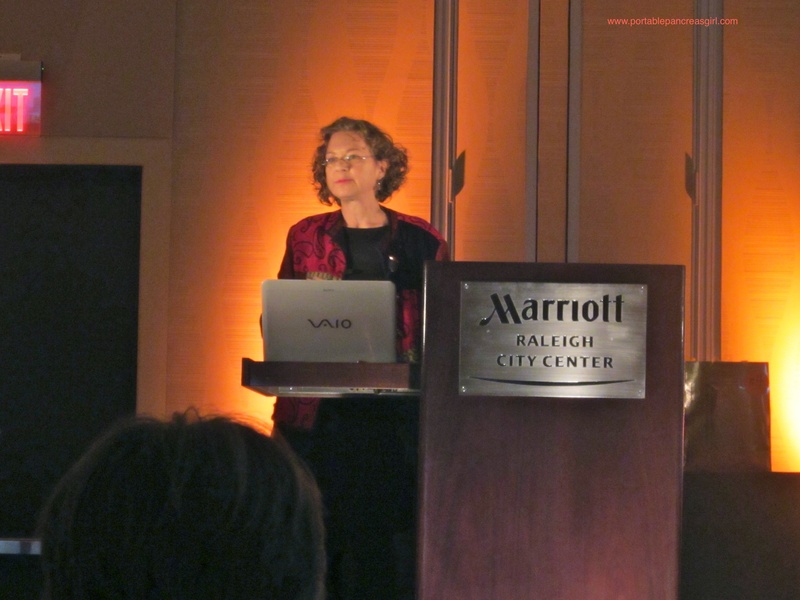 Do LADA blogs give you insight to another diagnosis story? 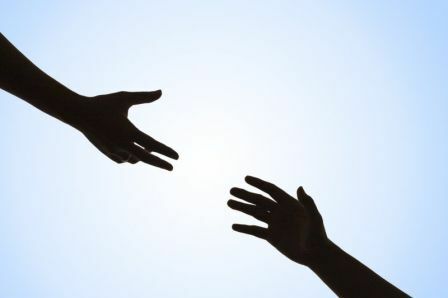 Do T1s who’ve lived well with diabetes since childhood give you hope? Pick a type of blogger who is different from you and tell us why they inspire you – why you admire them – why it’s great that we are all the same but different!! If I had to pick a specific type of blogger who was different than me and write about how they inspire me, I wouldn’t know how to choose just one type. And that’s because even the other people with Type 1 diabetes are different than me. Going back to the infamous saying that your diabetes may vary – each and every one of us living with any type of diabetes, even the same type, have a different kind of diabetes. Going back to the days of Myspace where I first met other PWD online like Lee Ann, Tricia, Tina and Elizabeth to name just a few. I learned so much about the insulin pump from them that I finally took the leap and got one myself. Learning more about the Dexcom. After having a failed experience with the older Paradigm MM CGMS, I found out about the Dexcom from some of you. And I’m so glad I did! Learning more about what my parents went through when I was growing up from people like Sherry, Leighann, Lorraine and Scott. Getting motivation for #sweatbetes (that I struggle so much with) from so many of you. All of this information, the friendships, the inspiration, are priceless to me. 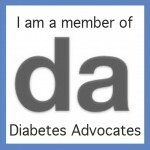 I honestly wish I could mention everyone individually but all in all I admire the entire blogging diabetes community for how we each live with diabetes in our own way yet come together to share the same passion of educating and advocating for those living with diabetes. And each and every one of you hold a special place in my heart.